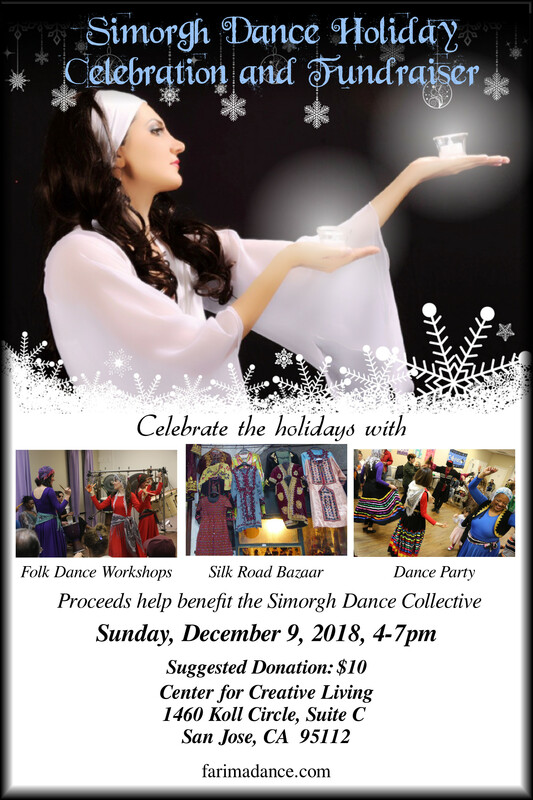 Join the Simorgh Dance Community for our annual holiday party and fundraiser. Learn and enjoy some traditional folk dances of the Silk Road, take home some ethnic treasures from a Silk Road bazaar, enjoy refreshments and sweets, enjoy dance performances and live music, then celebrate in a Silk Road dance party. 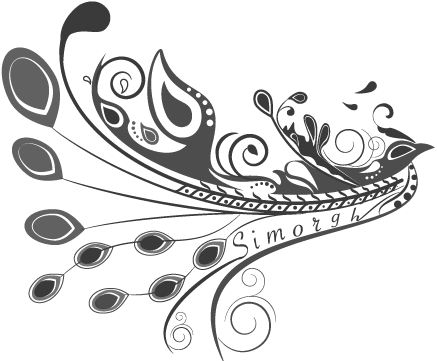 All proceeds help benefit the work of the Simorgh Dance Collective. This year, we will be teaching fun traditional and modern Armenian line dances, including some that have been influenced by Assyrian and Greek cultures. The dances will be taught by guest instructor Armen Gabrielian. All levels of skill will be accommodated. Visit our Silk Road Bazaar with specialty ethnic clothing, hand-made articles, veils, and jewelry for sale from our travels to Iran, Azerbaijan, Kurdistan, Turkey, and Uzbekistan. Come browse for rare and unusual ethnic costume dresses, skirts, vests, and more, vintage as well as new and unused, from our company collection. Enjoy exciting performances of Silk Road folk dances as members of the Simorgh Dance Collective and the Aylan Azeri Dance Group showcase dances with live music during our evening holiday celebration. After the workshops join friends in dance and stay for our Silk Road dance party! 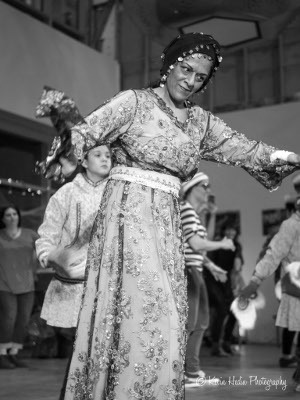 Armen Gabrielian has more than 30 years of experience in folk dancing on the East Coast, in Southern California and more recently in the San Francisco Bay Area. He has attended four dance workshops in Greece and a dance seminar in Armenia. He has taught at Ashkenaz in Berkeley and at various dance groups in the Bay Area.